Cinco de Bravos! In honor of the holiday, we’re celebrating with $5 Club Pavilion seats for select games in May against the D-backs and Phillies! Secure your seats now because we’re saying adios to this deal tomorrow morning at 8 a.m. ET. 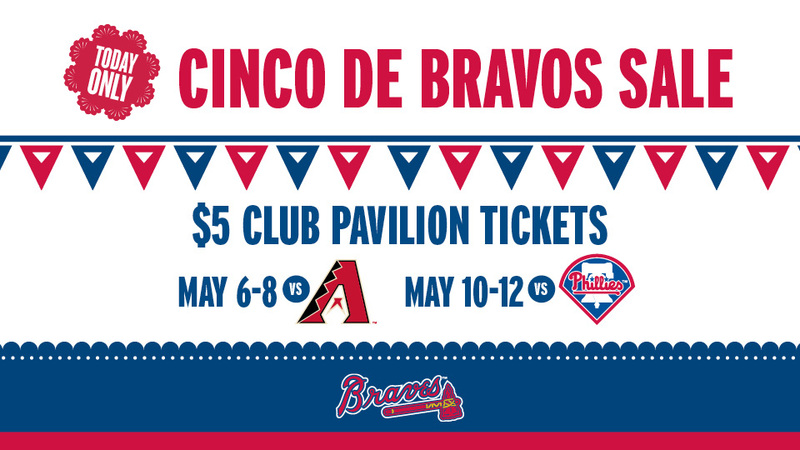 Cinco de Bravos tickets are subject to availability. Offer available while supplies last. Offer expires at 8:00 a.m. on Friday, May 6, 2016.